Hachimantai in Iwate Prefecture is kind of like a mini Japan. 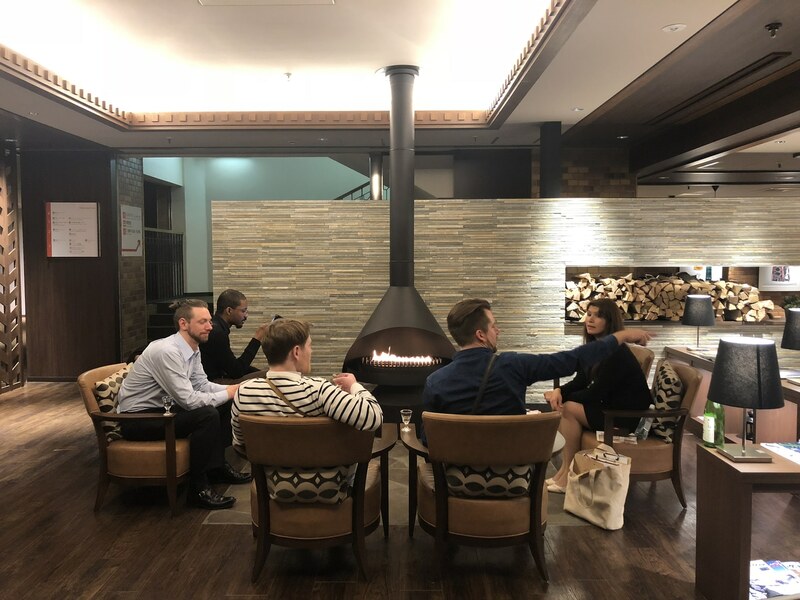 Not only does the city boast plenty of traditional and modern culture, it’s also blessed with unblemished nature, “countless” hot springs, a famous sake brewery, four ski resorts and even its very own revered mountain. 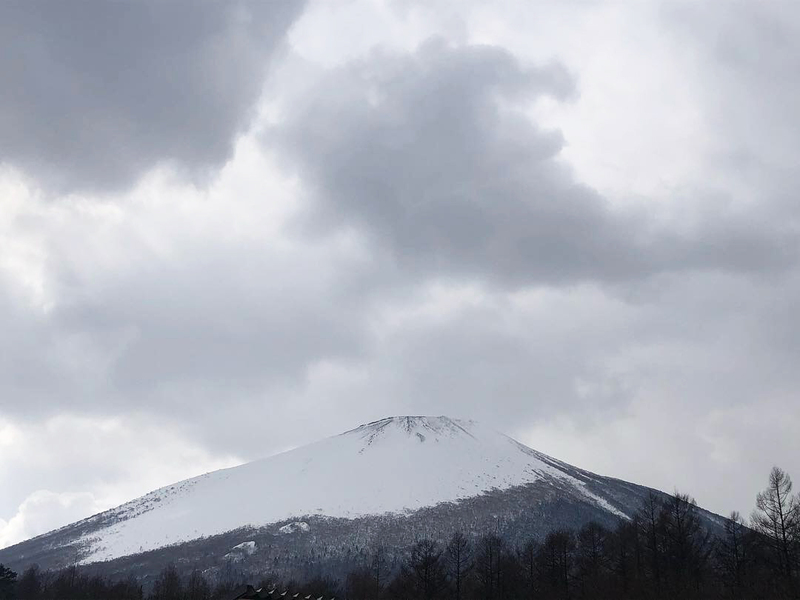 At 2038m high, Mount Iwate may not be as imposing as Mount Fuji but, amongst those who live in the area, it’s as beloved. 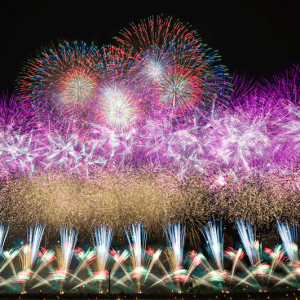 Locals will chuckle as they point out the mountain’s wife, Mount Himekami, and his lover, Mount Hayachine. They’ll tell you how invigorating it is to climb to the top, and describe how when spring arrives and the snow begins to melt the peak starts to resemble an eagle. Founded in 1829, Washinoo is not only famous for its history but also for being the sole sake brewery left in Hachimantai. Its name means eagle’s tail and is inspired by the fact that the brewery is located at the foot of Mount Iwate, which is also called Mount Ganju (giant eagle). 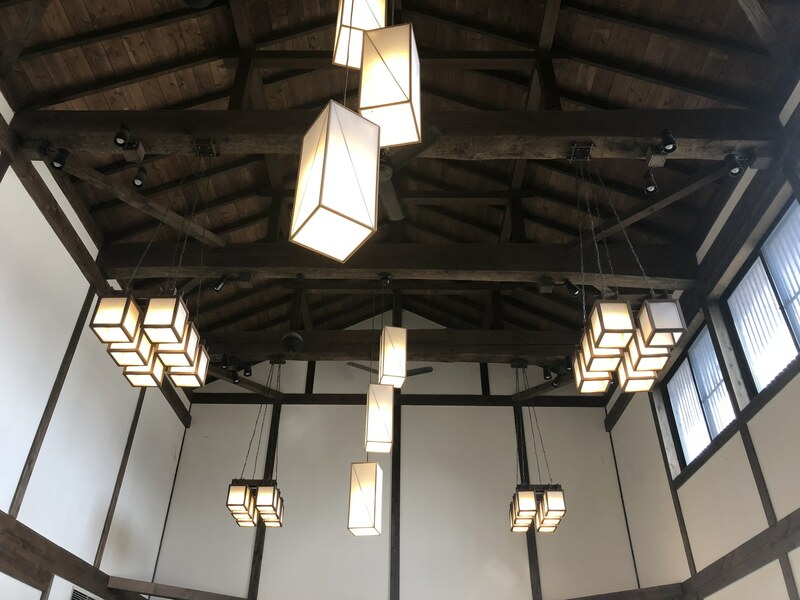 Not too far from Obuke Station, the brewery still retains part of its original façade and its interior now incorporates the owner’s former family home, which gives visitors the added bonus of experiencing Edo period architecture and ambiance. When we visited, we were lucky enough to be taken on a tour of the brewery by eighth generation owner Kudo Tomo. 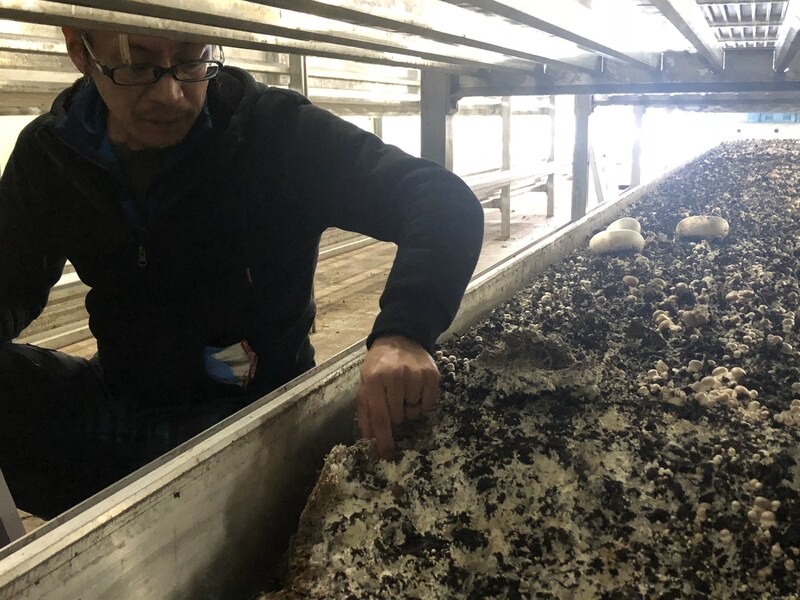 He took care to show and explain each step of the production process, letting us peek inside the sake barrels and even taste the end byproduct called sakekasu (sake lees). To create their renowned sake, Washinoo uses nine different types of rice, eight of which are from Iwate. They even produce one of the rice brands themselves, ensuring it’s grown free from pesticides and chemicals. Every day, the brewery polishes, washes, soaks and steams a whopping 800kg of rice. 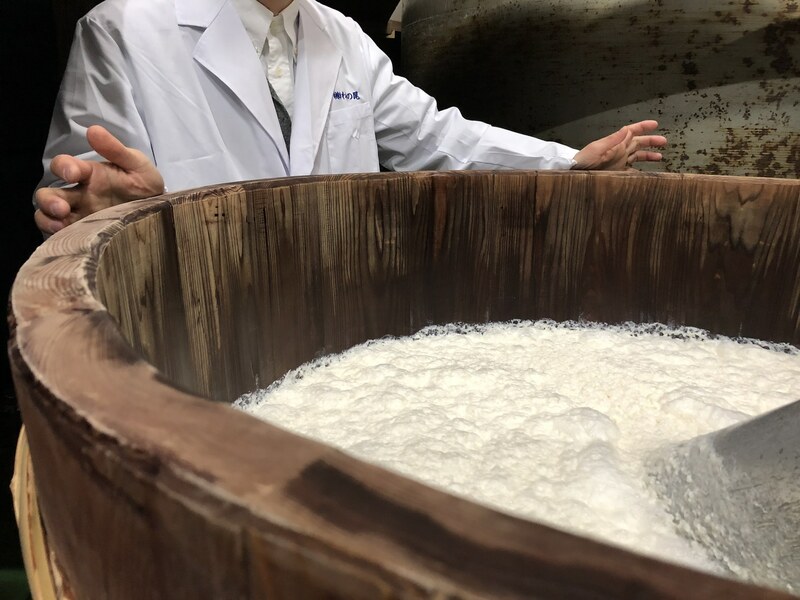 Of course, it’s not only the rice that impacts the quality of the sake – in fact, it all begins with the superb quality of the pure and mineral-rich groundwater that’s sourced directly from nearby Mount Iwate. 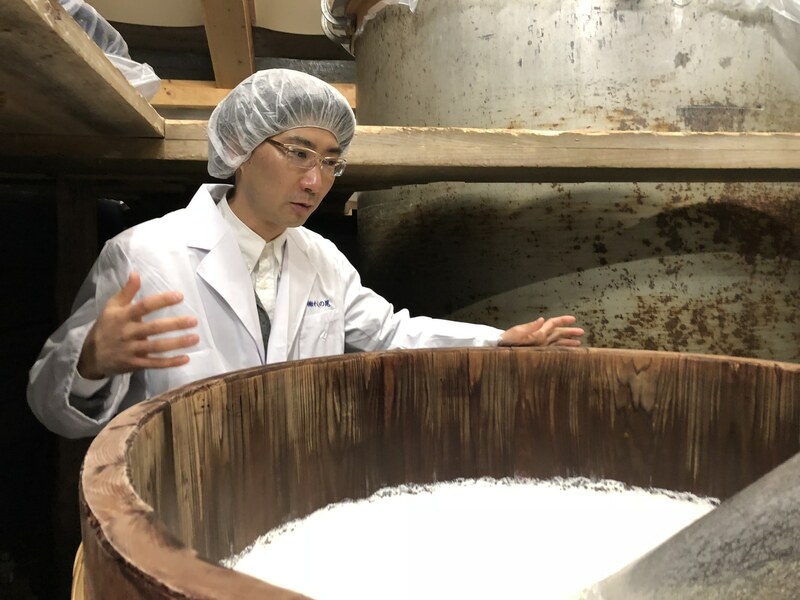 Also, here’s a fun fact for visitors: The koji mold used to make sake is so sensitive that you shouldn’t eat strong fermented foods such as natto before taking a tour because the yeast will overpower it and affect the flavor of the sake. 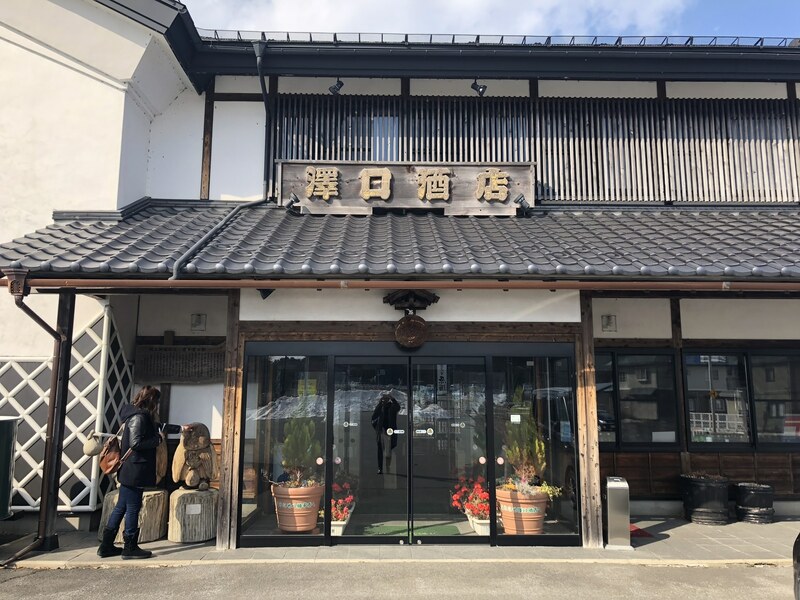 After the brewery tour, we stopped off at Sawaguchi sake shop where you can shop for a variety of brands including Washinoo. 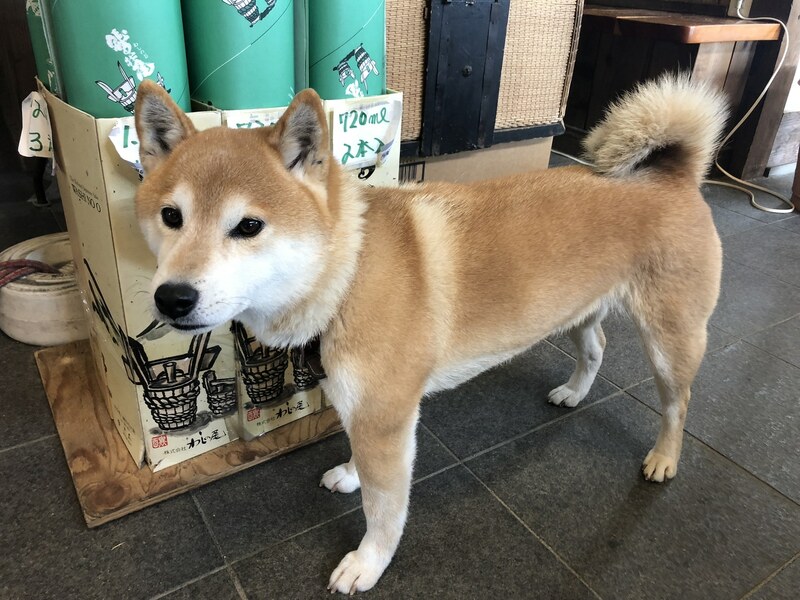 Even if you’ve already stocked up on your sake, the shop, which was founded in 1971, is worth a visit just to see its traditional Japanese décor, to compare your hand size with the sumo wrestler hand prints that line one wall, and to pet the adorable resident Shiba inu named Momo. 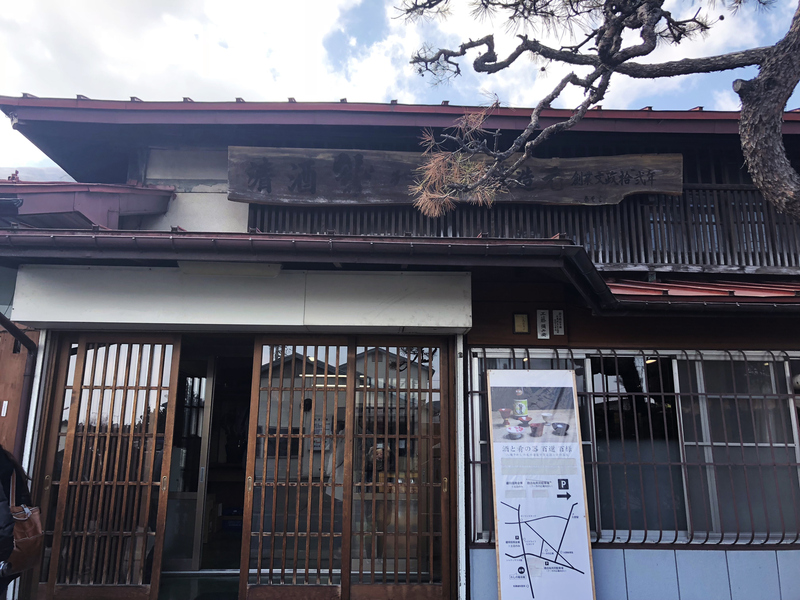 Also, if you make a reservation in advance, you can enjoy a light lunch and sake tasting here. 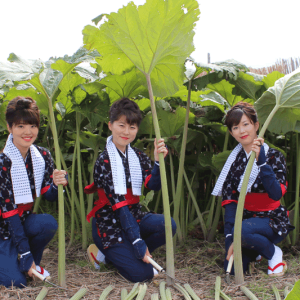 It’s not too hard to figure out why Hachimantai – and Iwate Prefecture in general – is blessed with an abundance of delicious local food. 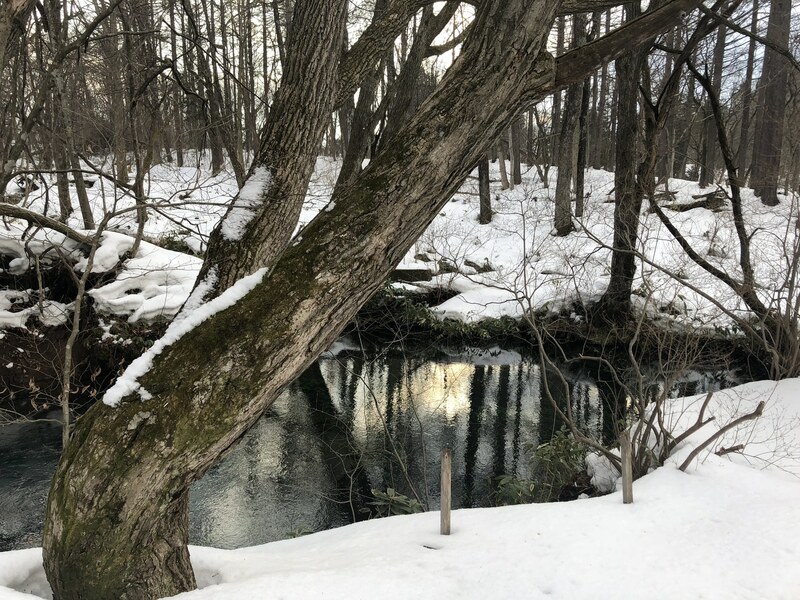 One only has to breathe in the fresh mountain air and taste the pure spring water from Mount Iwate to realize that conditions are ideal for producing organic cuisine. But Hachimantai has a few other tricks up its gastronomic sleeve. We stopped by Geo-farm Hachimantai to learn more about its efforts to create a more sustainable way of living and eating. 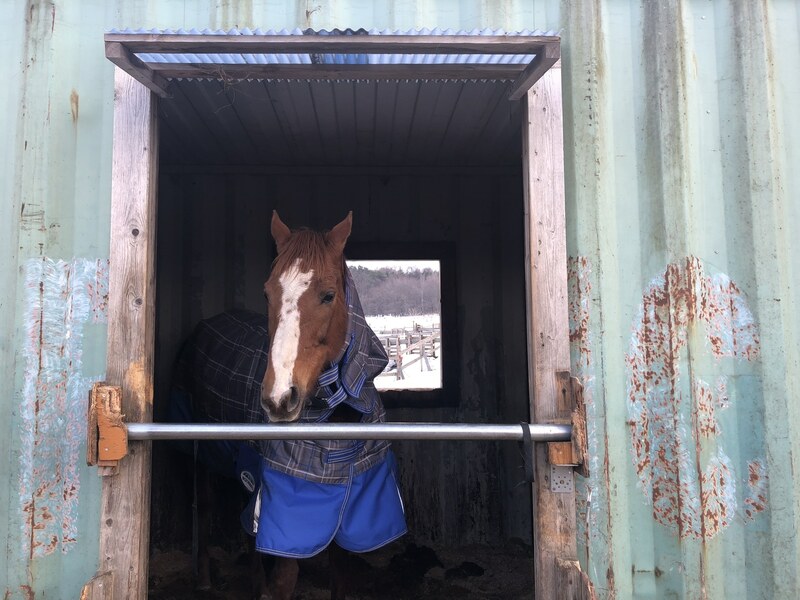 Established five years ago by former equestrian Funahashi Yoshinobu, the farm is home to several racehorses (Iwate has a long history of horse racing that stretches back to the Edo era). The horse manure is cleverly utilized to produce a compost fertilizer which is then used to grow mushrooms. 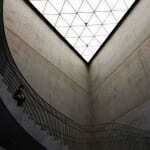 In this way, they have effectively created a system of circular agriculture. 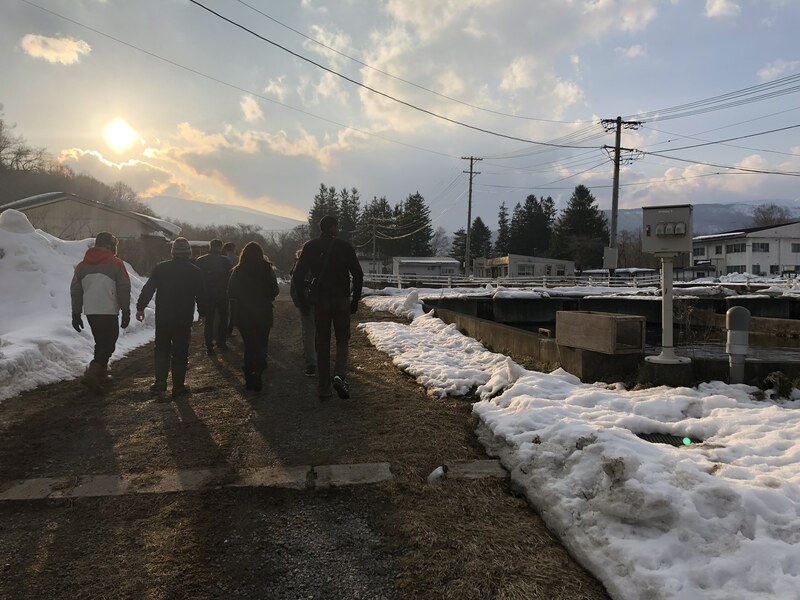 We also visited Kanazawa Shimizu Trout Farm, which was founded 35 years ago and, as its name suggests, is just a few meters away from the famed Kanazawa Spring. It’s astounding to watch the power of the spring water as it gushes up out of the ground and if you walk a little way up through the forest you can view the marvelously crystal-clear blue-green hues that saw this spring being voted one of Japan’s 100 most remarkable waters. Of course, the farm benefits from being able to raise its trout in such pure water and as a result is able to provide delicious, high quality sashimi to residents and local restaurants. If all that talk of fresh, organic food is making you hungry, you’ll be pleased to know you can sample all of it – including Washinoo’s sake – at our recommended accommodation, Hachimantai Mountain Hotel & Spa. Our dinner here was a feast of local Iwate food paired with a variety of Washinoo sake. We tucked into a starter of smoked salmon, tofu skin and quiche, served with a sweet, pink-hued sake called Asamurasaki. 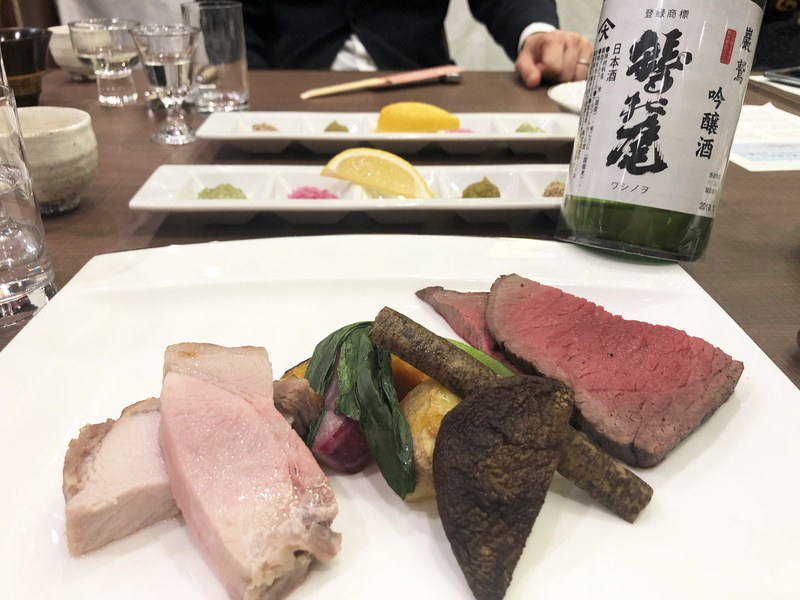 The main dish included Hachimantai beef and pork, paired with a rare 13-year-old sake that was served in lacquerware made in Morioka (a neighboring town also known for its top quality spring water and sake). 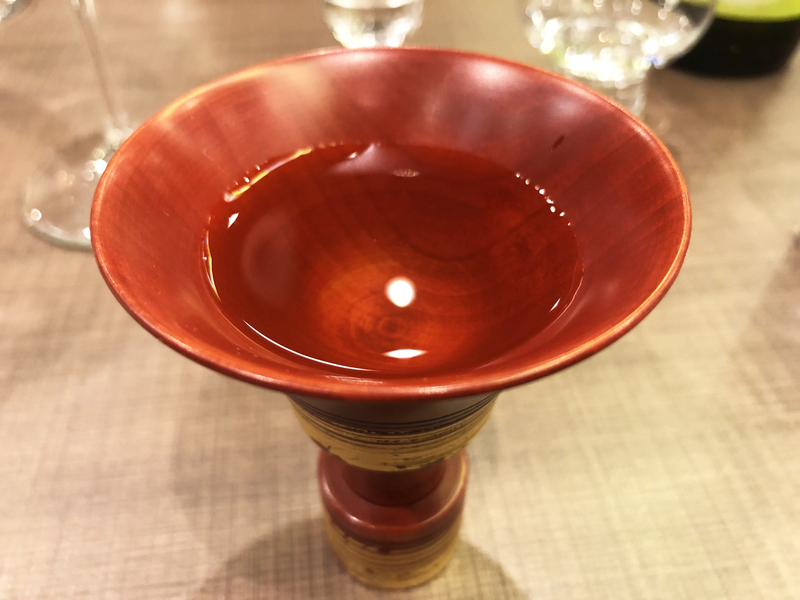 Washinoo brewery’s Kudo Tomo, who joined us for dinner at the hotel, also treated us to a demonstration of Tamawari, which is the process of adding water incrementally to sake to reduce and optimize the alcohol percentage. Brewers use this technique to perfect the flavor of each product they sell, putting the sake through extensive testing to decide on the ideal percentage of alcohol. 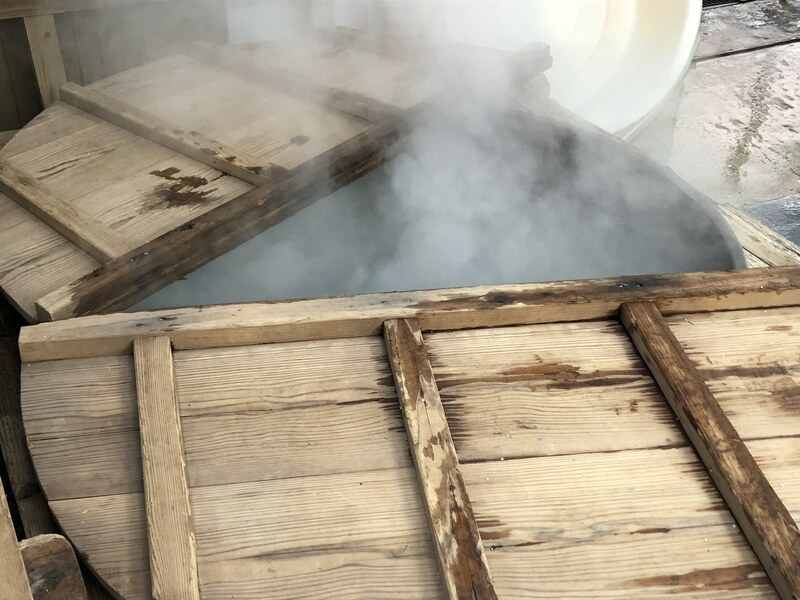 Washinoo uses the very spring water that filters through from Mount Iwate for this process, with their average percentage of alcohol being 15% (the average percentage for most Japanese sake is 14%). Tomo lined up a few cups of sake and added water to each one, taking care to only adjust the alcohol percentage by 1% at a time. This meant that we got to compare how adding more or less water impacts the flavor of the sake. At 15%, the sake was light, sweet and floral; at 16% its sweetness became more pronounced; and then at 17% it took on an acidic, almost sour flavor. 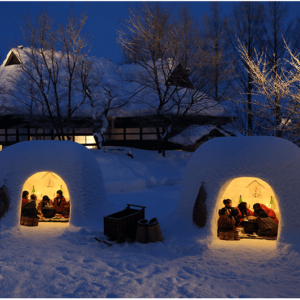 Hachimantai Mountain Hotel & Spa is situated at the foot of Mount Iwate, right next to the Panorama ski resort. 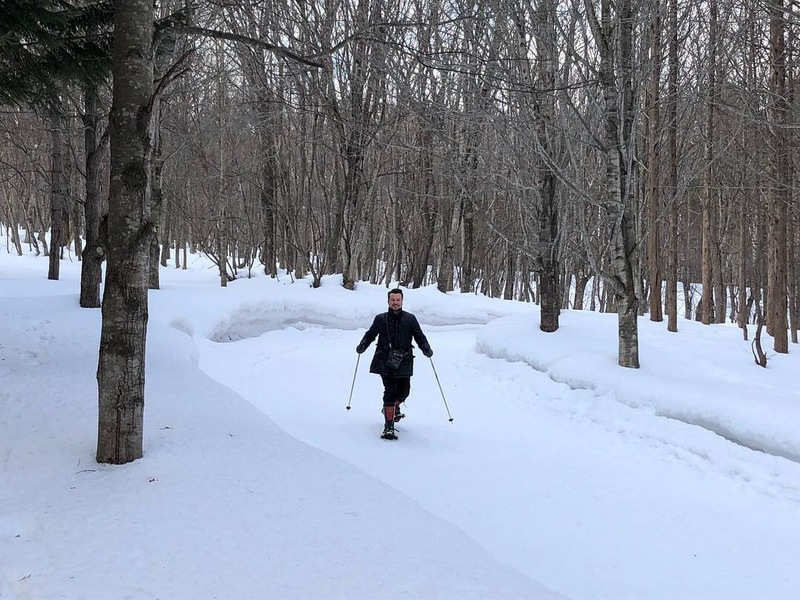 While most powder hounds tend to head straight for Hakuba or Niseko, the quality of snow in Hachimantai is good enough to satisfy most avid snowboarders – with the added bonus being that the ski resorts here are not overrun with tourists. 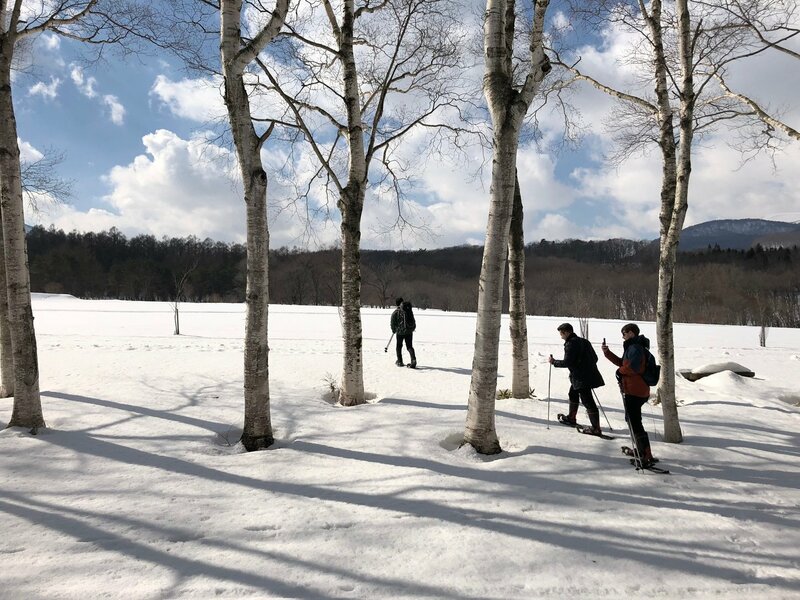 We opted for a morning of snowshoeing, with our guide taking us on a two-kilometer trail around the resort. 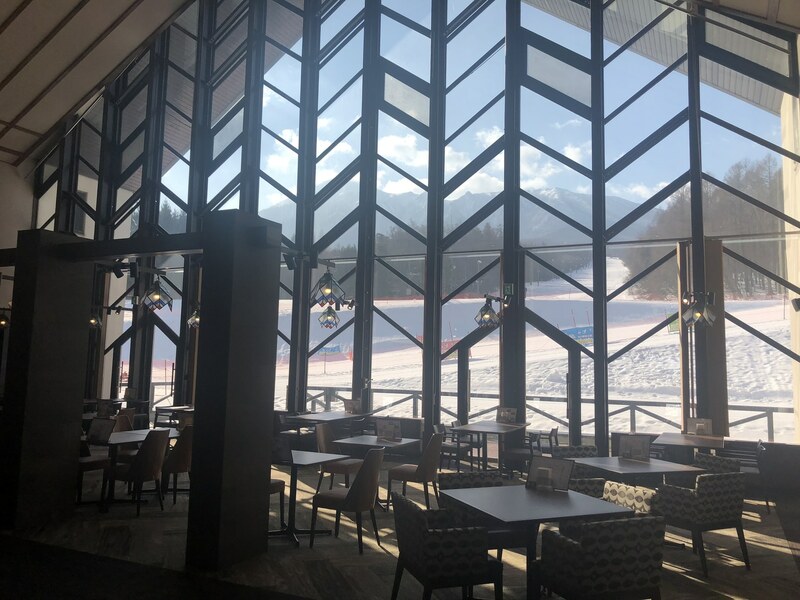 Crunching your way through fresh powder snow and absorbing spectacular views of Mount Iwate and surrounds is a surefire way to make you fall in love with this region. And if that doesn’t do the trick? One final, long, soothing soak in the resort’s outdoor onsen while overlooking the surrounding mountains will undoubtedly seal the deal.